The SCM Breakout is an add-on module for the Shuffling Clock Multiplier. 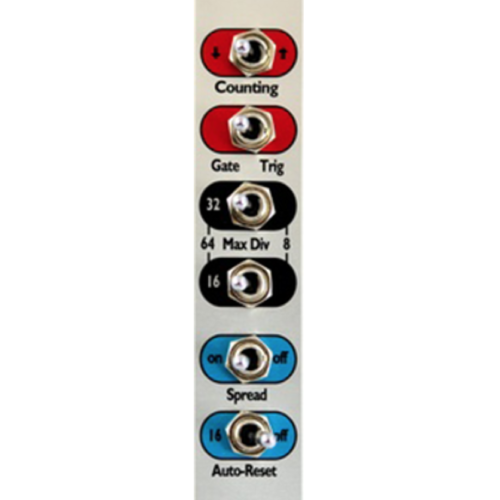 It adds a host of new features for controlling shuffle/swing patterns, as well as Pulse Width, Mute, and 4x Fast. 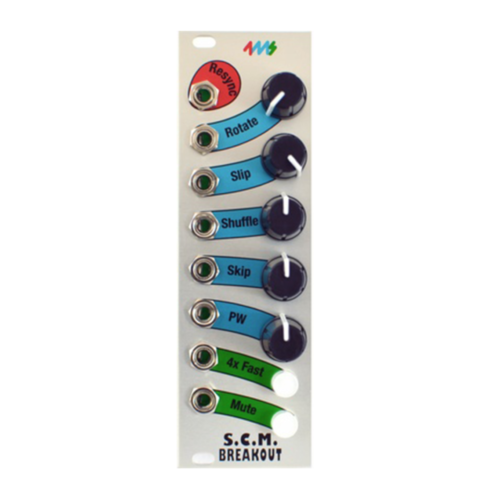 The SCM Breakout adds a host of new features for controlling shuffle/swing patterns (Slip, Shuffle, and Skip), as well as Pulse Width, Mute, and 4x Fast. Each feature has a CV jack and manual knob. The Mute and 4x Fast buttons act as inverters of the gate signal on their respective jack, and light up to indicate on/off status.